The US on Monday announced the closure of the Palestine Liberation Organisation’s (PLO) Washington diplomatic mission as the Donald Trump administration prepares to roll out its Middle East peace plan, Anadolu reports. 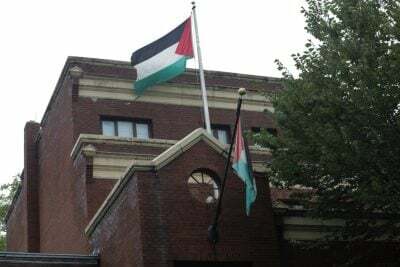 The State Department announced the decision, saying “the PLO office in Washington will close at this point.” The office had served as Palestine’s de facto embassy in Washington. The department said “the PLO has not taken steps to advance the start of direct and meaningful negotiations with Israel,” and pointed to Palestinian calls for the International Criminal Court (ICC) to investigate Israel as reasons for its decision. “We have permitted the PLO office to conduct operations that support the objective of achieving a lasting, comprehensive peace between Israelis and the Palestinians since the expiration of a previous waiver in November 2017,” State Department spokeswoman Heather Nauert said in a statement. “However, the PLO has not taken steps to advance the start of direct and meaningful negotiations with Israel. To the contrary, PLO leadership has condemned a US peace plan they have not yet seen and refused to engage with the US government with respect to peace efforts and otherwise,” she added. Another State Department spokeswoman later said the mission was ordered to vacate its office no later than Oct. 10. “Ironically, the announcement is actually good news — as it ends the pretence that the US actually cares about peace in the Middle East,” Perry told Anadolu Agency. National Security Advisor John Bolton later Monday said Washington would act if the ICC decides to prosecute Israel, the US or any of its other allies. “We will take note if any countries cooperate with ICC investigations of the United States and its allies, and we will remember that cooperation when setting US foreign assistance, military assistance, and intelligence sharing levels,” Bolton said. We will let the ICC die on its own, after all, for all intents and purposes the ICC is already dead to us he added. Palestinian officials continue to deny any role for the US in peace talks with Israel after Trump unilaterally declared Jerusalem to be Israel’s capital last year, upending long-held underpinnings of peace talks which had maintained the issue was to be determined as part of final status negotiations. The decision provoked worldwide condemnation. Zomlot insisted the US action would not deter Palestine in its mission “to hold Israel accountable by referring it to the International Criminal Court,” or force Ramallah to return to US-brokered negotiations. “We stand firm in our decision not to cooperate in this ongoing campaign to liquidate our rights and cause. Our rights are not for sale, and we will block any attempts at bullying and blackmailing us to forgo our legitimate and internationally endorsed rights,” he said in a statement. “While today is a dark day for peace in the Middle East, for multilateralism, and the integrity of the international political and legal system, we will continue our struggle to pursue all possible legal and political means to achieve peace, independence, and our internationally enshrined rights,” he added. “This is another blow by the Trump administration against peace and justice,” said PLO Secretary-General Saeb Erekat. The decision to close the Palestinian mission is the latest effort to ramp up pressure on Ramallah. The US has already halted all funding to the UN’s Palestine refugee agency and cut more than $200 million in aid to the Palestinians.